The First fleet in Plymouth is looking slightly different at the moment. The better members of the local fleet are being repainted into Olympia livery, with no fleetnames, ready for transfer into Kernow in September. Its nice to see local registration numbers being used when so many are now just reg’d in Scotland or Yorkshire these days. I think you are right with 521 upwards - but we wont know if these are the first 4 or not till we see the others! Depends if they come in all over Yellow or not, As I presume PCB will need some spare E400s for replacement works etc. they can't just have 520 doing all of that. So it could be 521, 522 as spares, then the rest as Yellow Flash. I totally agree with Graham, on busy cross-city routes such as the 21 and the 50 there is a real need for high-capacity buses such as double deckers, especially in busy periods, the current Citaro's and Volvo B7's are full and standing but with the lack of good quality double deckers at the moment that are available for use. As an irrelevant side note the seats on the 56-plate Citaro's are not that comfortable, travelling back on the 72 from Looe was quite uncomfortable, has anyone else noticed this? I do like the Citaro's design! The ride is excellent! The Citaro's seats are marginally better then the 52-plate Brighton darts that I had travelled on before hand, the capacity of the dart and the Citaro was needed!! full and standing as we were getting towards Looe! Also, I didn't realise how un-reliable the Optare solo's are!! I have seen quite a few of them being towed! bus fares will go up now to pay for new buses . Unless you are First Group, buying new buses is just part of normal business. Fares don't have to go up just because of that. Most cities the size of Plymouth can sustain new buses no problem. New buses arrive every year and fares go up every year...... there must be a connection ;-) LOL! Of course it doesn't have to be this way. 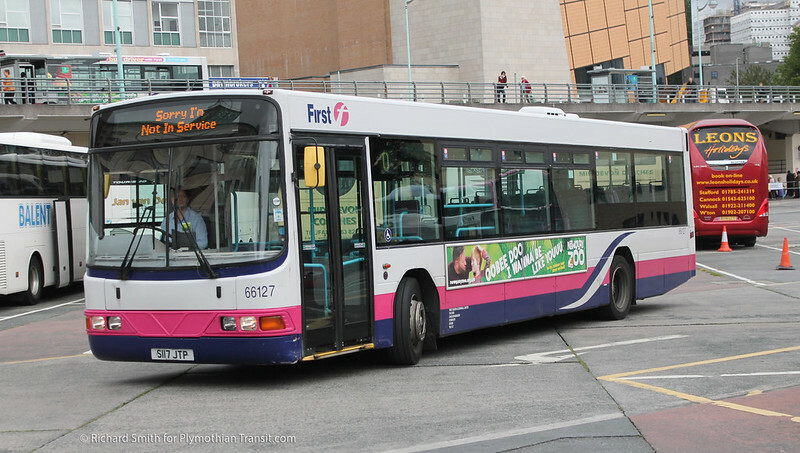 First didn't buy new buses and their fares didn't go up each year. That'll work. Doh! G, so what's the answer? Run the existing fleet for 20 years and then have to replace it all at once, and go out of business as a result? I'm sure you renew your car and things at home periodically. Just because you haven't been used to normal investment in your local fleets as happens in the world outside doesn't mean it should go on that way. Investment in the fleet has little bearing on fares. The largest contributor is staff costs. Steve, yes, I agree with you 100%. Fleet replacement in any operation has to be an integral part of the overall business plan. I was being facetious - these 'new buses = fares increases' comments are all over this blog and the PCB Facebook site. Surely people don't *really* believe it works that way? If that was the case, then bus operators would be going out of business right, left and centre. The early days of deregulation and privatisation were littered with operators closing down or selling up because they couldn't afford to renew the fleet. If you're part of a big group you might get away with it occasionally but as a an independent you're doomed. As Graham points out First Plymouth got themselves into that position and it didn't work out. In fact, PCB themselves were heading that way a few years back as the council weren't keeping up with fleet replacement before they sold out, which is why Go-Ahead are still having to put in large numbers of both new and second-hand buses to catch up. New buses+Higher fares= Pros- More reliable service, higher quality of service, more environmentally friendly buses. Older buses+Cheaper fares= Pros- Cheaper travel. Cons- (Potentially) unreliable, lower quality standard, less economical to run. So what Citybus have been doing works well, with the second hand Tridents and the brand new E400's and E200's. And this also isn't a whole new thing that GoAhead have brought in, pretty much all of the buses CityBus had before the GoAhead purchase were bought brand new such as the B7's, Citaros and the 56 and 08 E200's. Ah, apologies to G! It was very early this morning when I replied! What will start to annoy people outside of the city though is they are paying the increased fares, yet never see anything on there routes to show for it. CityBus have done to the 79, 12 and 11 exactly what first have been doing. Dumping the crap stock on those routes. The services are suffering because of it. If people see better buses it might encourage a few more people to use them. So where should they use the older buses (or 'crap stock' as you put it)? Or should the whole fleet be under five years old? Fully or nearly-fully depreciated buses are important in making quieter routes viable. Part of the answer is to keep all buses in a clean, smart, well-maintained condition with proper attention paid to the interiors. I find PCB do actually manage that pretty well whereas First always seemed content to provide buses with poor, worn out interiors and threadbare seats for far longer than they should do. Buses are designed for a 15+ year life but that does generally require an interior refurb and retrim or two, just as the exterior is repanelled and repainted and the mechanicals are maintained and replaced regularly. Well done on ignoring the first part of my post. If they are putting new buses on routes, the passengers of said routes should pay for the nice buses. 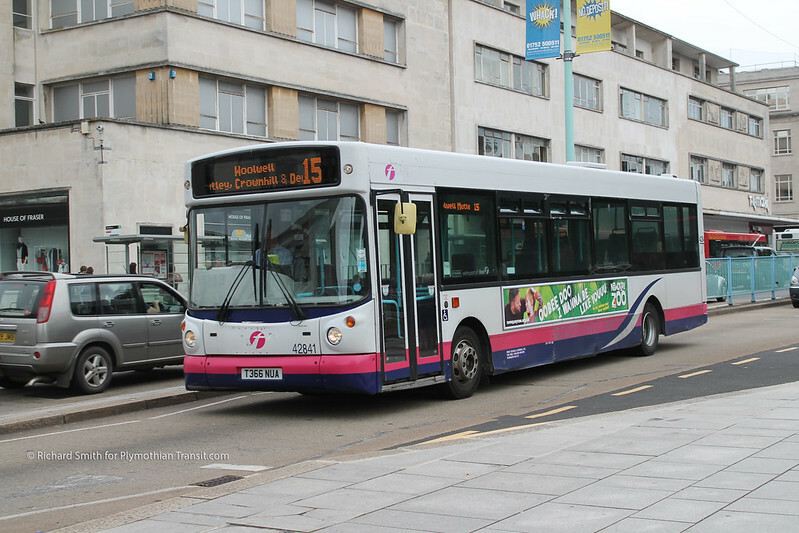 Why as a passenger on the 12 should I pay more to get into Plymouth yet still getting a bus that is 15 years old? The bus industry has never worked that way nor has any other public transport industry. New buses will always go onto busier routes as that way they can be paid for. 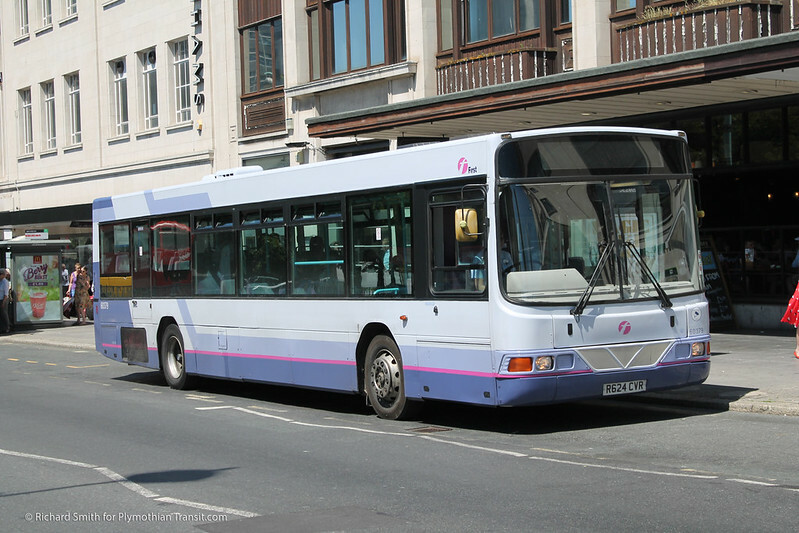 As Citybus continues to invest in new buses the older stock will start to be replaced, something which happens with most operators (First Devon excepted). Sadly the services you mention probably will always be lower down the list. Just look at recent history - the 79 was DAC and then Western Greyhound. 12 was WG (576) and First (76). All failed to make enough money. Hopefully things will settled down a bit now and the services will do a bit better under Citybus. 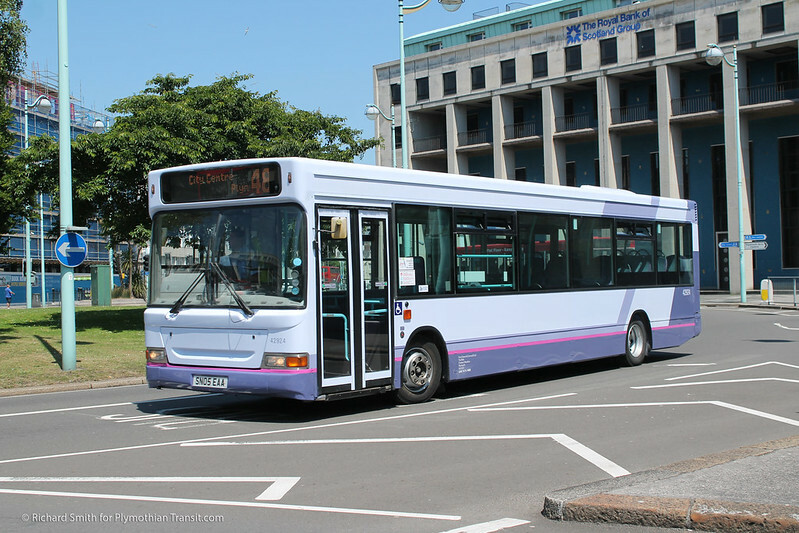 If things in Plymouth settled down and Citybus can step up the fleet investment then eventually you might get better buses. All you need to do is wait because as soon as the E400's make it into the city and then it will start a chain reaction, for example the 65-plate E200's could replace the 08 E200's which could replace 54 plate darts which could replace R-Reg darts and so on and so fourth and its not like the R-Reg buses are 'crap stock' I would rather have one of them than an ex-Hong Kong dart that has massive roof mounted vents, because it feels cramped and less space where as the the older R-Reg buses have more space and feel more open. Also first did put a Volvo Olympian on the 79 were the there was a lack of a low floor and poor disabled access. I am afraid I am quite unable to follow your argument or logic. Are you saying that for the sake of equality that all new buses should alternate on a different route each day......or should the number of new buses on a route be in proportion to the takings on that route,or what. If I have new buses,then I will want to show them off to as many passengers as possible...hence the busier and most profitable routes. To do otherwise would be entirely illogical and logistically prohibitive. Please explain your argument more simply,so that I can try to follow it. My point is people will soon get fed up of price rises 'for continued investment' if the don't see any direct benefit. When first kept putting the price up on the 76 every 6 months claiming it was due to rising fuel costs. Numbers went through the floor. People will only take so much. Especially when the service is so poor. Us lot in SE Cornwall are a funny lot. We like to pay for what we get. 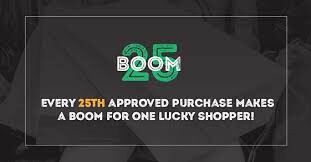 Not pay for everyone else to get the enjoyment. Very similar to water bills in that respect. as far as i am aware, all bus companies have to put a business case forward to get new buses? so in the instance of go-ahead, pcb would have to put a case to GAG to get new buses for a certain route. Go-Ahead will expect a return on their investment, same as first or arriva or stagecoach. big companies dont just say ' here you go, have £5 million of new buses!' the service 50 is getting new buses as the route is performing extremely well, which is why 21/21a got new buses. i think in time as routes start showing healthy passenger growth, then vehicle replacement will happen for those routes. 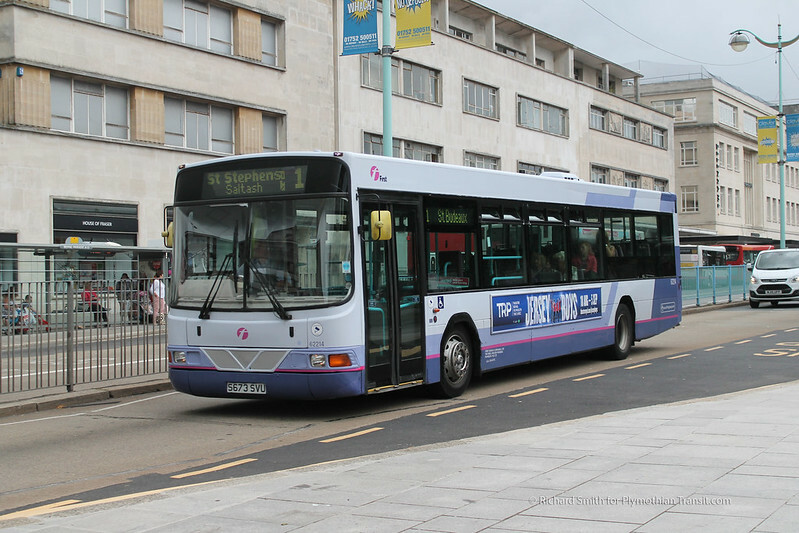 maybe people should just be happy plymouth as a city is getting large investment in vehicles from the major bus groups. all we need now, is for passengers to look after them properly, not trash them with rubbish and graffiti. Passed Four yellow buses on M5 junction 24 heading south this morning at 10am. I was heading north so couldn't get registration plates!! I see from Graham's fleetlist that 59 and 438 have been withdrawn. Do we know what happened to them both and why they were withdrawn? Do we know which Blue one is in getting done at the moment. Also, is anything else in? I saw 71 parked in the spray shop a few days ago. Yes, 59 has chassis corrosion. With the recent history of unreliability with the now defunct Wg surely Go Cornwall should be running better buses that do not break down. Ex London Darts replacing the solos.